The phone ships with all the usual stuff and some extras include USB OTG cable, a pair of earphones, a screen protector and a screw driver. Connectivity:Bluetooth, 3G, 4G, GPS, WIFI, GSM,EDGE, GPRS, UMTS, HSPA, HSPA+, dual-SIM. 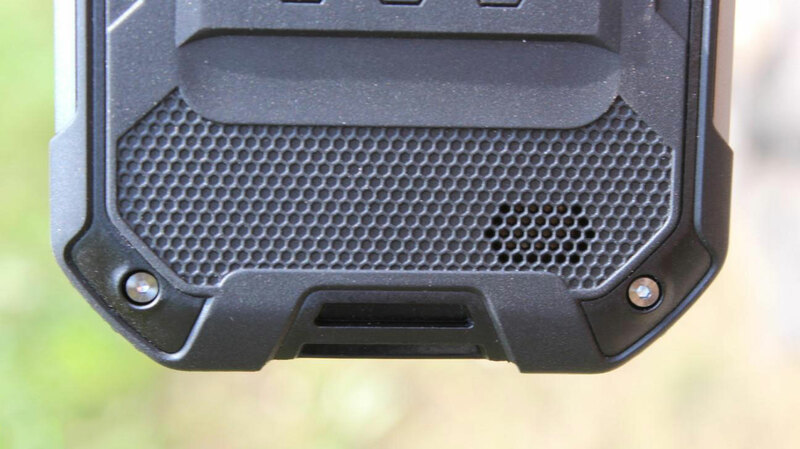 The phone is quite a brick due to its rugged design. 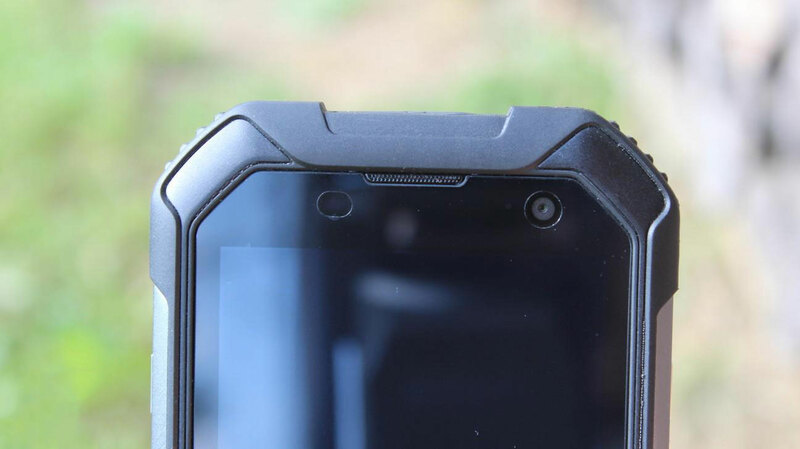 The device is IP68-certified, meaning that it is water, dust and shock resistant. All the ports are covered with flaps, so the water does not reach in. 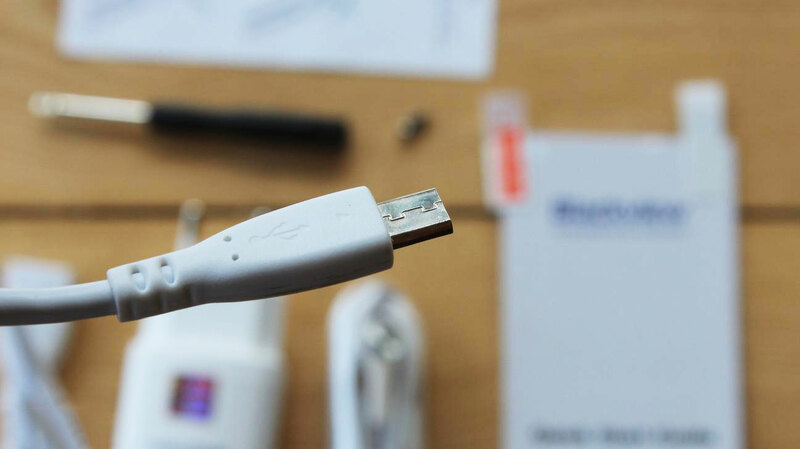 You have to keep in mind that the phone requires a longer than usual USB connector meaning that regular USB cables will not work with this phone. 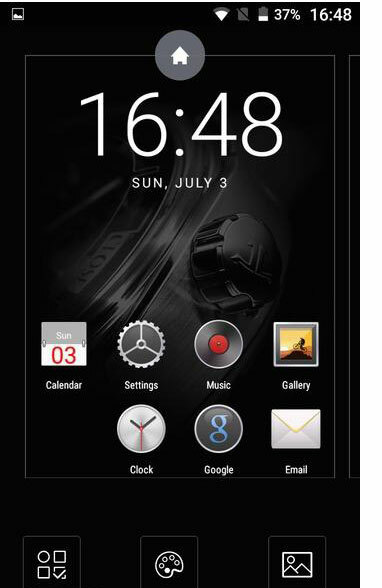 We have a 4.7” 720p panel, which is okay for a phone like this but the display could be slightly brighter. 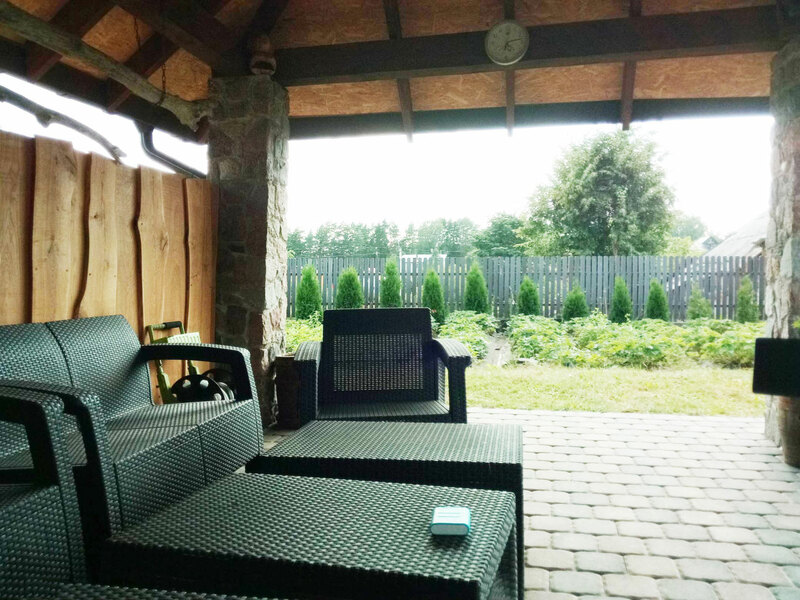 The phone is designed for outdoor use after all. There are 3 nicely backlit capacitive buttons but it is disappointing that there is no LED notification light. As for selfies, we have an 8MP interpolated camera (5MP sensor). On the back, we have a 13MP camera, which can take 18MP pictures. 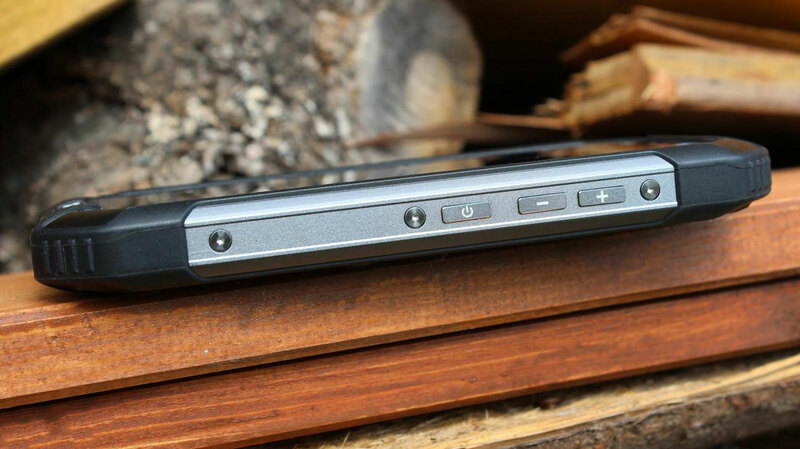 In order to access two SIM card slots as well as the microSD card slot, you have to use the supplied screw driver to open up the cover. The loudspeaker is far from the best I’ve heard. The sound is tinny and it gets distorted at the highest volume settings. The usual buttons are nice and tactile. Also, we have some extra buttons like a camera key, which acts as a shutter button. It is supposed to open up the camera app but it simply takes too long to do that. We also have the PPT (Push to Talk) button. 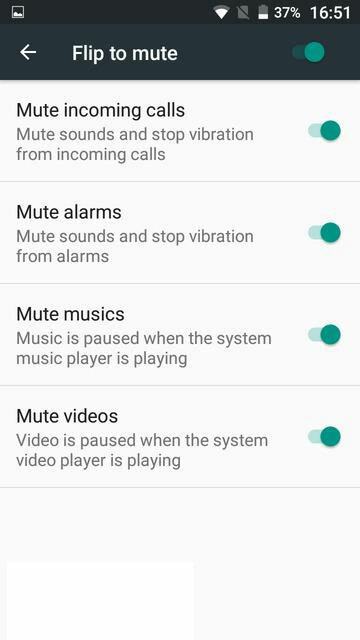 Unfortunately, I didn’t have a chance to test this feature out. Lastly, we have the SOS button, which automatically sends your GPS coordinates to the set contact number in case of emergency. Overall, the phone is thick and heavy but it is built like a tank to survive those extreme situations. 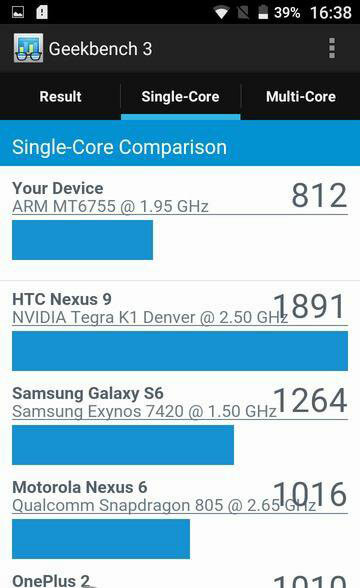 The phone doesn’t skimp on the hardware either. 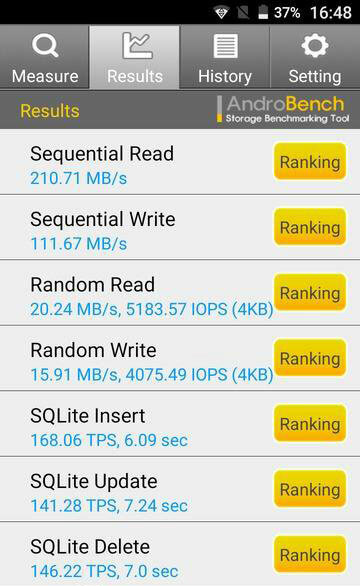 It sports a Mediatek Helio P10 chip with the clock speeds of 2.0GHz, 3GB of RAM and 32GB of expandable storage. Surprisingly, the device can handle 3D games very well. Asphalt 8 runs fine on the highest graphics with just some minor skipped frames and the phone does not overheat. 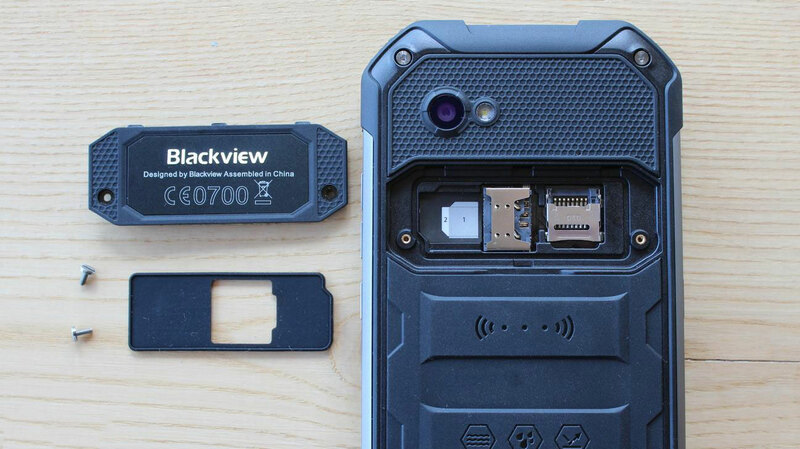 When it comes to the UI, the device runs on Android 6.0 with Blackview’s skin on top of it. 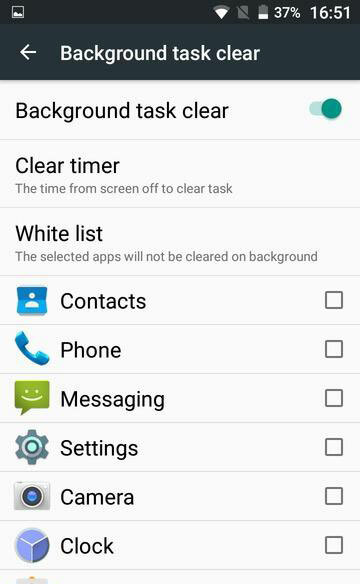 We have some redesigned icons and the app tray is removed. 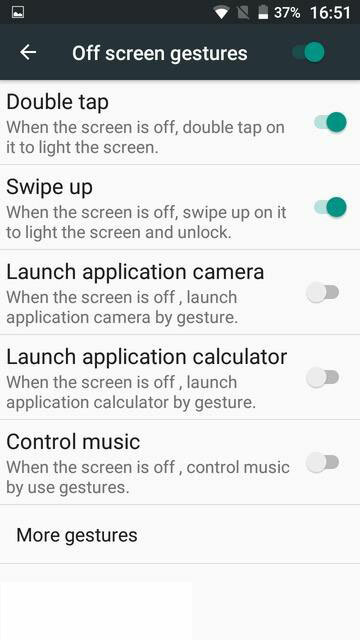 Also, there are some basic customization options and quite a few gesture controls. Some of them work fine while others not so fine. Most importantly, the UI runs fast without any hiccups or lag on a daily basis. The 13MP camera can take some okay looking images but they are definitely not the best in class. The pictures could have more sharpness and detail and the quality decreases in lower-lit situations. The 1080P video is okay looking too. Nothing spectacular but not bad either. See a video review for a video sample. The front camera takes some noisy looking selfies but it may be enough for social media. As for connectivity, we have all the usual options that work great. Also, the device supports NFC. The device ships with a beefy 4500mAh battery, which performs great and it will definitely get you through the day. 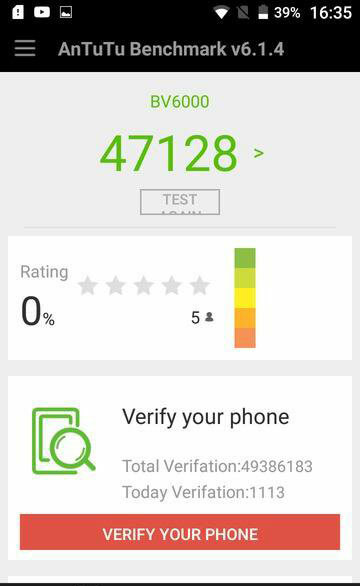 I could get way over 5 hours of screen on time despite using the phone quite intensively and that is a good result. 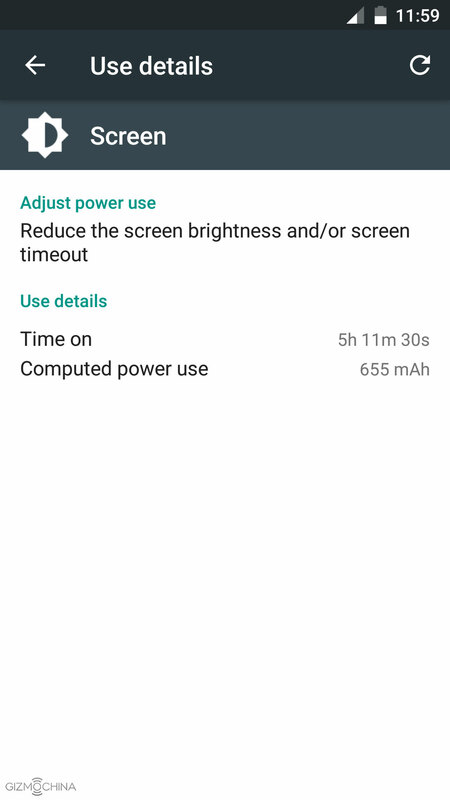 On a light use, I could get over 6,5 hours of SOT. 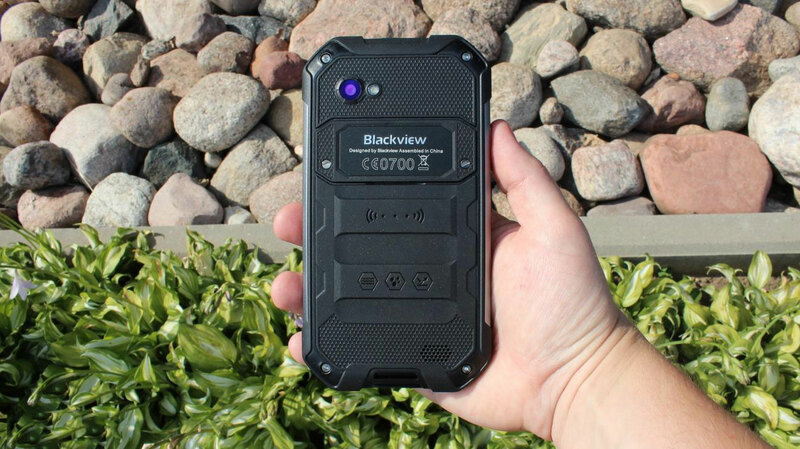 Blackview BV6000 is a rugged phone that is actually pretty good. It is well-built but not too large, it has quite powerful internals that assure a smooth UI and even gaming performance. 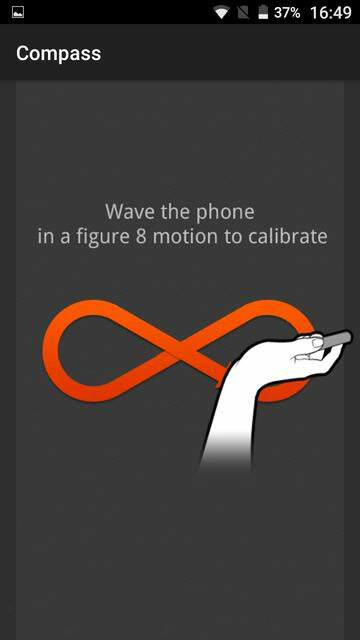 Also, a large battery powers up the phone for quite a long time without the need to recharge it. On the other hand, the display could be brighter knowing the fact that that the device is mainly designed for outdoor use. While the camera is not bad and you can take some okay looking images, Blackview could have invested in higher quality lens. 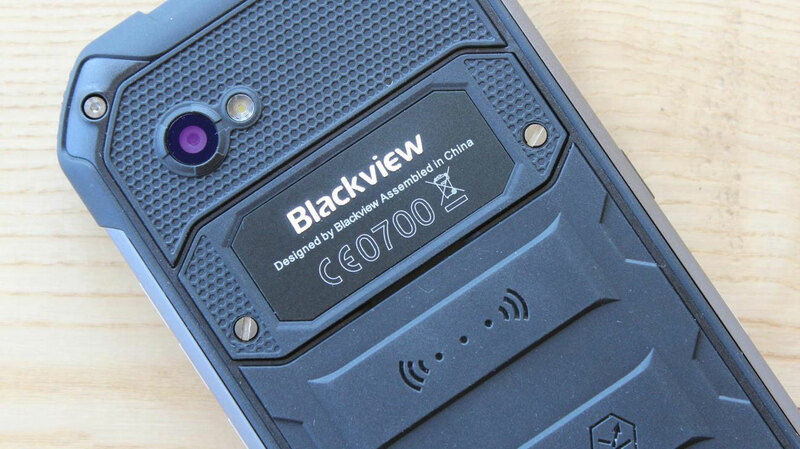 All in all, Blackview BV6000 may not be perfect but it is a decent offering if you are in the market of IP68-certified phones.